If you’re a GBx member new to RocketSpace looking for office or meeting space – perm, visiting or virtual, you’re in luck. RocketSpace has teamed up with GBx to offer some fantastic benefits to our community. 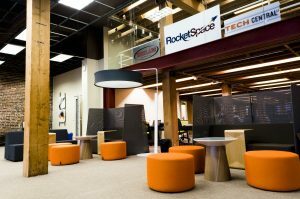 Invitation to come over to check out the RocketSpace Sansome St location on Friday, March 16, 9.30am – 12pm after the Breakfast with Theo Blackwell. Spend a couple of hours working or catching up with other GBxers. Members of the RocketSpace team will be on hand to answer any questions. Check in with 2nd floor and we’ll see you there! – Here more often? GBxers benefit from an exclusive 10% discount for private office suites (123 Mission). – An exclusive 10% discount for campus dedicated desks and private office suites. Updated to highlight the fabulous RocketSpace offer is for new joiners to the campus – any questions do reach out to Kate or the RocketSpace team at your campus of interest.